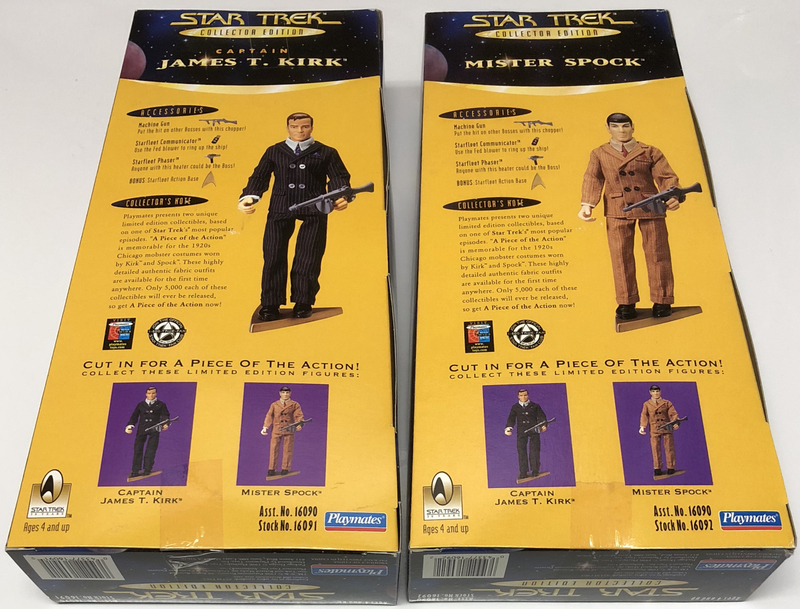 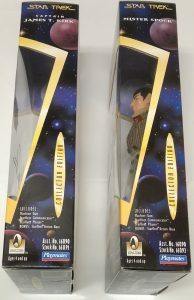 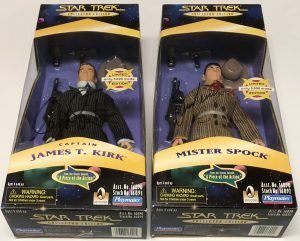 This 1996 KB Toys Exclusive set features Kirk & Spock in their gangster outfits from the classic “A Piece of the Action” original series episode. 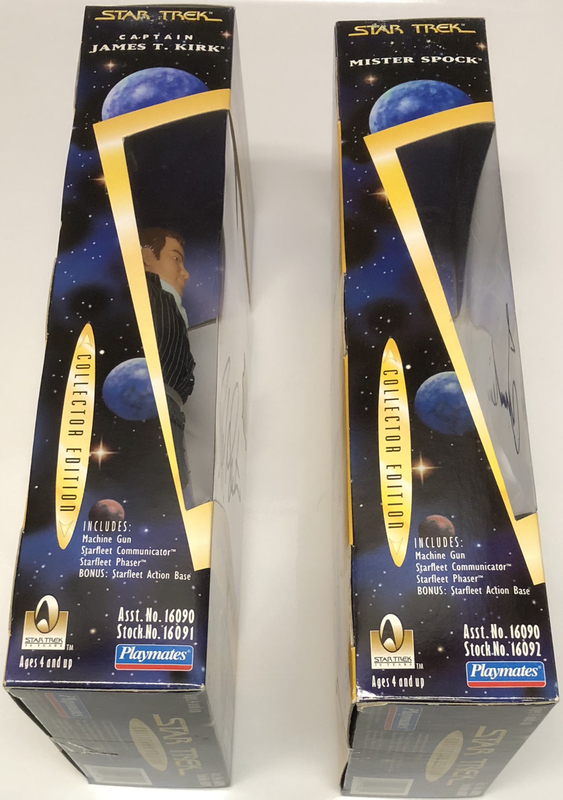 Limited to only 5,000 produced. 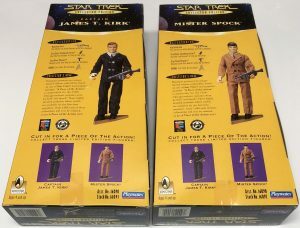 The figures are still sealed in their original excellent condition packages (slight storage wear) and will be shipped with the utmost care. 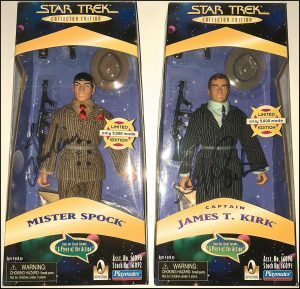 The Kirk figure is signed by hand by William Shatner and the Spock figure is signed by hand by Leonard Nimoy. Please note – the signatures are real. 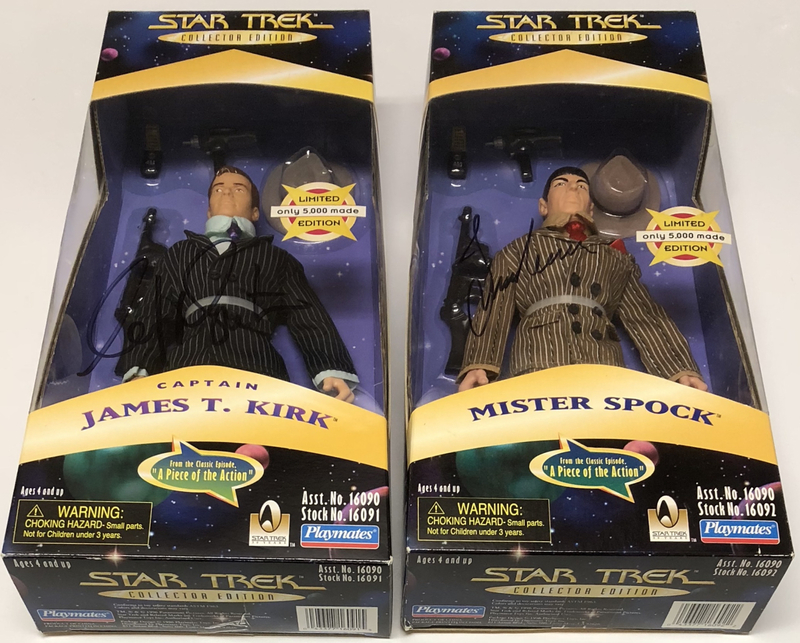 They are the actual, hand-signed signatures of Shatner and Nimoy, they are not pre-printed images on the packages. 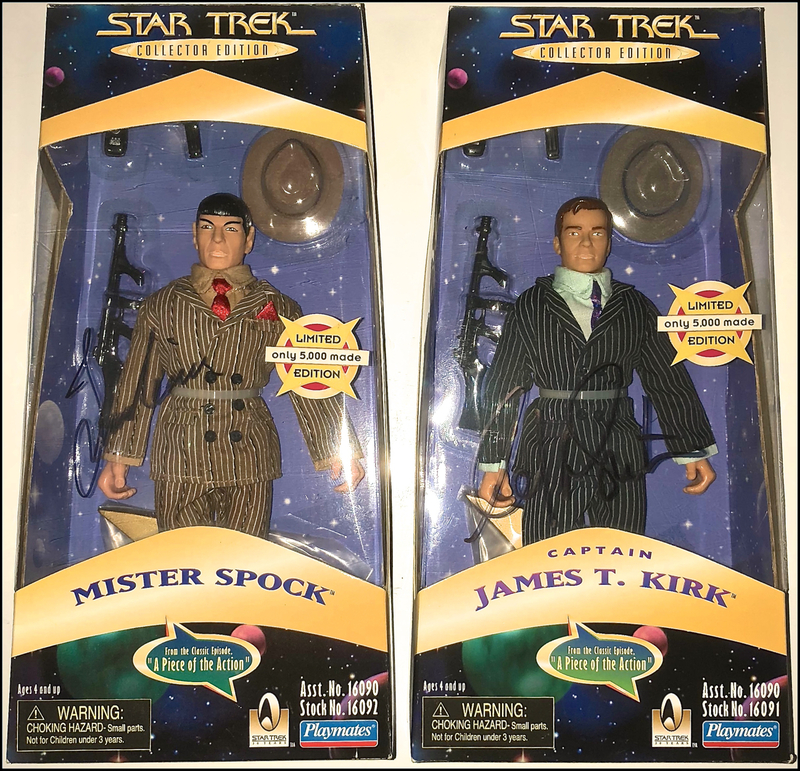 Signed at their 2009 Dragon Con Appearance in Atlanta, Georgia.